History The Kamei Gigei was developed by second generation clan head, Jun Youmei. A total of nine techniques make up the Kamei Gigei, the first to be developed was the Mirage Blade. After the Mirage Blade, a series of prayers were created, totaling up to four prayers with another prayer meant to strengthen the first prayers. But Jun was never able to finish off the style, dying before he could do so but leaving instructions for the next clan head to finish the style. Ichirou Youmei was the son of Jun Youmei, and was thus the next clan head. He would be the one to finish what his father had started by adding the last techniques to the Kamei Gigei style. The first would be Raijin Rising, something that took him years to develop. The last two used elemental chakra, giving those with an element for water or lighting an edge when it came to fighting with the style. The two were added because his own affinities were to lightning an water, which explains why he didn't create one for the other affinities. On the day the Kamei Gigei was finally finished, it was declared a clan secret and it would be something that members of the clan would be required to learn. Open/Closed Closed - Unless you are a member of the clan, you must ask me permission in order to use this style. Effects: Unlike other Kenjutsu shockwaves which are generally large, Kougenjin is a relatively small shockwave that’s size is the same as the blade length of the sword used to launch it. Sacrificing power for speed and quantity, Mirage Blade travels at an incredible pace, relative to the user’s rank; Mirage Blade, when used by a Sannin, would be about twice as fast as a shockwave fired from the Samurai Sabre Technique, though its destructive force is obviously much less. A large amount of chakra is focused inside the user’s blade in the form of a constant flow – though normally the chakra could envelope the sword, here the chakra creates a shell on the inside of the blade, allowing the chakra to rebound infinitely and resonate with itself. When the user slashes their sword, it releases a portion of this chakra in the form of a white, rippling shockwave; thus the name Mirage Blade. Mirage Blade also carries the properties of the blade used to fire it, as well as its size; this means that if the blade used to fire Mirage Blade is sharp enough, Mirage Blade will pass through solid objects by slicing them in half and continuing on, much like a Wind element jutsu would. Effects: The first of the “Prayer” series of the Command Arts, Hikaru Aki Hashira, often called “Aki-gamae (autumn stance)” by its users, is a Kenjutsu stance instead of an actual attack. It is a variation of the Waki-gamae in that the user holds their blade at waist level, parallel to the ground, whether in its scabbard or not, a position best suited for quick-draw strikes. The user focuses their chakra throughout their entire body in a steady stream while in this stance, increasing their speed and strength by 25%. This increase in ability comes about from the chakra augmenting the muscles naturally, instead of forcefully, essentially putting the body in a natural “peak” condition. This chakra also coats the user’s blade and allows the counter-offensive nature of Aki come through. Whether sheathed or not, the user can swing their blade and dispel an incoming attack by disrupting it, allowing the user to protect themselves and then counter-attack. The method of blocking attacks is based upon the concept of an immovable pillar. Effects: A refinement of the First Prayer: Hikaru Aki Hasira, this technique expands the ability of the First Prayer. Where as Shinning Autumn Pillar is locked only to the user’s weapon, and forces them to stand in a specific stance, this technique turns it into a full on “Mode”, covering the entirety of the user’s body and thoroughly saturating it with the same effect; This allows the user to fight unhindered by having to remain in one stance, while also allowing the effects of the First Prayer to extend to their entire body. Besides this saturation, Gokumonken provides one extra effect: techniques that would be destroyed by the First Prayer’s effect can instead be reflected back at the opponent, taking the place of the First Prayer’s defensive ability, but still counting as an additional move per turn. Effects: The second in the “Prayer” series of Command Arts, Zekkyōdan differs in its working depending on if the user’s blade is being resheathed or drawn, though in both cases the move is a strange type of Battōjutsu, meaning that it involves multiple cuts. In the event that the sword is being sheathed, there is a quick flash as the blade’s guard meets the top of the scabbard, during which a chakra burst creates a countless number of cuts in a 360 degree short-range dome around the user, shredding any incoming attack to dust; this being the defensive variant of the move. When unsheathing the blade, however, the affect is “launched”; that is, when the blade is unsheathed, a cyclone of chakra is shot forward, with the chakra inside the cone-like structure acting as tiny knives, shredding that which they come into contact with; this is the offensive variant of the move. Effects: The Third in the “Prayer” series of Command Arts, Sōgenmu is a type of Psuedo-bunshin developed specifically for Kenjutsu. The user will coat their body in a layer of chakra, creating a rainbow colored doppelganger. This doppelganger mimics every attack the user makes, down to even the launching of shockwaves and the amount of force behind an attack. At first, the doppelganger fluctuates only slightly around the user, making it appear as if the user is surrounded by some sort of haze. As time progresses, and the phantasm becomes more unstable, the user can “slide” and “rotate” the doppelganger away from them; though it will still mimic the user’s moves exactly, it will remain a set distance from the user. This changing in orientation allows the user to use the doppelganger to maximum effect. Effects: The final “Prayer” of the Command Arts, Tenshōha is also the only offensive Prayer to not directly attack with the user’s sword, though it still falls into the Kenjutsu category due to needing the user’s sword to activate. Breaking the semi-crouching stance attained by the first Prayer, the user will stand and focus their chakra into their blade. By sheathing their blade, the user activates the technique. Their chakra will be unleashed in a powerful burst, calling forth a massive pillar of energy from the Heavens that descends upon the battlefield. Falling with incredible strength, the pillar has enough force to level the terrain completely and leave nothing but dust in its wake, though the after-effects of the jutsu seem to encourage the growth of life in the area. The user, at the epicenter of the blast, takes some damage; the only reason they do not pass out is because the chakra coursing through their body from the first Prayer forms a protective dome around them, lessening the blow of the blast. Effects: The Kenjutsu technique allows Swordsmen to more easily fight against Shinboi attacks of all sorts; the user will activate this technique by quickly focusing chakra into their weapon and spinning it in a complete circle in front of them. After this simple ritual is completed, a “magnetic” burst of chakra is released all around the user that causes all foreign chakra to be condensed as it approaches the user. Ultimately, the “magnetized” chakra will be drawn into the user’s weapon, effectively concentrating even large scale jutsu into simple, yet still equally powerful, streams or orbs, depending on the incoming techniques composition. This technique can easily be described as turning the user's weapon into a "Chakra Lightning-rod", thus the name. Effects: Holding their blade sideways, the user will run Suiton chakra through their blade, activating the technique. A great downpour will come over the terrain, providing water for this technique, as well as dropping all Fire Justu down one rank, and reducing their damage by 10. A ring of water will form around the user with a radius equal to that of the complete wingspan of the user (meaning it would be roughly 10-11 feet [roughly 3.2 meters] in diameter). This ring has a single tentacle for each of the eight points of the Compass Rose: North, South, West, East, Northeast, Northwest, Southeast, and Southwest. The tentacles will strike at anything within range as the user commands them, but they do not attack on their own; they are approximately 5 feet [1.5 meters] long, and the user must know the general vicinity of the opponent(s) to strike them if they are behind him/her. Effects: The user will run Raiton chakra through their blade while holding it skyward, to activate this technique. This technique fills the air with energy – so much so, that Doton jutsu fall one rank (due to the charges in the air disrupting the formation as the energy disperses into the earth), and that a lightning bolt continuously streaks from the user’s sword, enveloping it in electricity, to the sky. Though meant as a Support technique, using the lightning to augment physical and water element attacks or by creative means, this technique is not without its own offensive measure. Once per turn, the user can swing their blade, and send a bolt of lightning flying in the direction of their swing – the energy is discharged from the constantly streaking bolt that originates from the blade, though this can only be done twice, and not on consecutive turns, due for the need for the electricity to replenish. History Mugen Ittōryū was something created in order to display the mastery the Youmei, now Nakamura clan mastery of Kenjutsu. The style is actually named after the one who created it, Mugen Nakamura who was the younger brother of Gin, the clan head. It would be the first style not made by the head of the clan, but it would be something that would be taught to the members of the clan. Mugen was a man known for the amount of swords he could flawlessly wield, being a master of Kenjutsu. The bases of what the style was built around was overwhelming the enemy with the amount of swords scattered across the area, swords that the enemy couldn't wield due to its hidden mechanism that prevented those who didn't know the style to wield the swords. Mugen swords were kept on his back, wrapped tightly by wire but would later be kept in scrolls. Either way, the style requires a lot of skill in order to perform it. The clan base the mastery of an individual by how many swords they can wield flawlessly, and this style is the perfect thing. The techniques that make Mugen Ittōryū can be hard to perform, but masters of the style can easily overwhelm their enemy with the style. 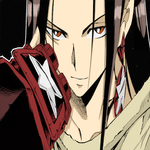 Mugen was sure to make sure the style could be replicated, and taught three people the style so that it wouldn't die. The style is now widely taught throughout the clan, many of the members hoping to master the technique so that they can be recognized as Kenjutsu masters. It should be noted that the style requires skill and speed. Effects: The user will throw into the air a large container of katana that are wrapped in some sort of cloth or wire in order to bind them for easy travel – while in the air, a seemingly endless number of katana will slide from their casing and scatter all across the battlefield to supply the user with swords to fight with no matter where they are; conversely, the swords can be summoned from scrolls in the same manner as Tenten’s weapons. This technique was created with the belief that a swordsman didn’t need a perfect sword, but rather, the ability to wield any sword with great skill. Each sword has a mechanism built into their hilt that allows only those who know how to use this technique to wield the swords. If someone with no knowledge of how to use this technique attempts to wield one of these blades, needles will extended from the hilt, much like how Samehada does. Due to this, the Infinite One-Sword Style not only assists the swordsman and his allies in battle, but also puts an extreme amount of psychological pressure on the opponent, due to the sheer number of blades. Effects: The user throws 3 swords in front of the opponent with the blades piercing the ground and the edge of the blades facing the target. The user then quickly rushes in front of the opponent and uses a surprising maneuver by striking all three swords at their base so that they fling upwards and slash the opponent vertically, like a rising fang. While the opponent is stunned and injured by the three upwards slashes, the user will strike each sword individually at the opponent, firing them off for multiple strikes. This can either pin down the opponent with the blade, or the blades can be aimed at vital areas. This attack is best suited for when the user and his opponent are in close range of each other. Effects: This technique utilizes the numerous swords involved in the use of the Infinite One-Sword Style and both the user's skill and speed as a ninja. The user attacks the opponent a total of eleven times in rapid succession, each at different angles and positions. With each strike the sword is left behind attached to the opponent. He then lands the final blow, making a total of twelve devastating blows. This technique pins and hurts the opponent. The reason why the swords can be powerful and stay on the opponent is because the blunt of the blade is used. The attack itself relies upon the high speeds of the individual attacks and the momentary stun inflicted by the previous blows, allowing the user to grab one of the surrounding swords and continue with the technique. This attack when used and if added with multiplication will put a great strain on the user making him or her dizzy and very exhausted. This is a finishing combo and is to knock out the opponent. Effects: This is a stronger version of the "Addition" technique of the Infinite One-Sword Style. The user attacks the opponent with another 12 strikes with a weaker damage slash to keep them stunned. While the opponent is still impaled by the previous twelve strikes, the user attacks once again, striking these remaining swords so as to repeat the succession of movements preformed previously. This results in doubling the attack damage that was already done, as it cuts his opponent with the twelve swords all over again. This totals up to twenty-four strikes being recieved by the enemy within an incredibly short period, leaving little to no chance for a counter attack. This attack causes damage to both the user and the opponent since this uses chakra and body speed/power to repeat the action it puts a immense strain on the users body. The user will be sluggish and be unable to do anything next turn. Effects: The user will grab two katana and then rush at the opponent at high speeds. Using their chakra, as the user slashes at the opponent, they will cast a Genjutsu which makes it appear as if the user’s sword split into two blades as it approaches, confusing the opponent, and leaving them open for the real attack, which is the other blade. Using the other sword, the user very quickly strikes them across the chest with a horizontal strike, and then proceeds to stab them in the chest with their sword in a finishing blow. Done with Genjutsu, this technique allows the user to trick the opponent at critical times in order to gain the upper hand. This technique requires both high level Genjutsu and Kenjutsu skills to perform, and can be preformed from either the left-hand or right-hand side. Effects: A powerful Infinite One-Sword Style technique, this technique involves the user focusing chakra into their blade and striking the surrounding blades, transferring some chakra to the surrounding blades, causing them to be launched up into the air, allowing the user to manipulate the blades as they wish. This allows the user to control the blades as needed, though they form a spinning dome around the user when idle, creating a powerful offense and defense. This move is similar to the move Soushuuha, but is in itself quite different and can be used by Samurai. Effects: The user will use only one katana from this technique, and thus it does not require the Infinite One-Sword Style set-up to have been used. The user will tightly grip their sword and focus chakra into the soles of their feet, gathering up a tremendous force for a burst of speed, using their Fuuton chakra. Taking the necessary stance, the user will release the wind chakra as they bolt forward, gaining a tremendous bolt of speed, as well as creating a sort of “over shield” of wind around them that can protect them from B-rank and above attacks. As they are moving, the user will swing their sword forward as the Fuuton chakra coats their body, creating a large movement of slicing wind due to the sheer speed that the air is being displaced by the user’s body and sword. While moving towards the opponent, this trail of wind created is the second part of the attack – the user will slice the opponent and the gale following will blow the opponent away from short to mid range. The strike from the sword does the majority of the damage, with the gale doing relatively little, being mainly for protection. The gale is a sort of countermeasure for anomalies, due to the abrupt nature of this attack. Due to the heavy force of the attack, from the tremendous output from the user’s muscles and the tailwind boosting their speed, the user suffers a sort of backlash and their body is damaged from the use of this technique. After using this technique, the user’s Fuuton jutsu will be weakened in power by an equivalent of one rank, for three turns. Effects: One of the largest dangers of using the Infinite One-Sword style is the opening created when the user scatter’s their katana. To keep the enemy from using the katana, there is a special needle mechanism built inside the hilt. Using this knowledge, this logic was applied to the very case that the katana rested in, and a powerful mechanism was installed. By focusing their chakra into the case, the user triggers a powerful compressed air mechanism that launches the katana out the case at extremely high speeds, allowing the user to use the scattering of the katana itself as an attack. However, it is different from the actual IO set-up in that where as the initial set up scatters katana everywhere, allowing the user a blade no matter where they go, this variant only launches the katana in front of them. This move is possible, due to the fact that while focusing chakra into the casing, a small amount of chakra is focused onto the tip of each blade, so that when they are fired from the casing the chakra forces the blade to flip around, and fire tip first. Using this move exhausts an entire case of IO katana. History Zasshu had realized that the younglings were hurting themselves during Kenjutsu training. So this was developed in order to give them a safer way to spar with one another. Its the most recent jutsu added into the clan's database. Effects: This is a technique generally taught to aspiring swordsman and could be considered the opposite of using wind chakra to lengthen and sharpen a blade. Usually, a Swordmaster or other instructor would use their own chakra to create a small “U” shape around the edges or point of a weapon. The chakra acts as an invisible scabbard on the blade, allowing the students to spar without killing each other or wounding each other past minor bruises and aches caused by the blunt force of the “scabbard” blade making contact. The user activates this technique by extending their hand along a ridge and just letting a small amount of chakra out. This technique is very simple and quick. Effects: As the name applies, the user wields seven swords though none are held within their hands. The method of Kenjutsu is strange, and it's something taught to everyone within the clan. Though they aren't taught how to dance with these seven swords right away. The users mastery, thus ranking, of the skill depends on how many swords they can wield flawlessly. The style is unpredictable, leaving the movements something that can't be predicted since nothing stays the same. you'll have to make seperate styles for both. A kenjutsu style and a Taijutsu style. Pretty much just give a name of the style, history, list of jutsu. template is below. Jutsu list: list all your jutsu here. spoilers are nice. Changes have been made to the original post as desired. according to our laws here the most taijutsu/kenjutsu styles one person can have is 2 or 3 i believe. So you may want to condense them. Also for your capeoria and seven swords, pretty much everything you listed as D-S needs to be edited. while jutsu can be d-s you pretty much made a style that has only one jutsu and its not even a jutsu its just more description of the style. You must make actual jutsu involved in the capeoria style if (flip kick or something like that as an example) for it to be legit. Same goes for seven swords, also explain how one can wield seven swords without touching them? Okay, I think I've confused you. My character isn't gonna use all those jutsu, they're just things that are special for the clan. Capoeira is a Taijutsu style, like the Hyuuga's have their own, for the Nakamura clan. The Kenjutsu style is also for the Nakamura clan. My character will not be wielding all of those jutsu because I know it's unbelievable. The jutsu listed above are just things that people can choose from if they make a character for the clan. Also the seven sword dance is an anime Kenjutsu, used by Killer Bee. The swords are held in joints, which explains why they're not wielded in the user's hands. If anything else needs to be cleared up, just ask me. yes, what i meant was, specify in the the jutsu described. Or make it as a style etcetera, it just needs to be specific since its somewhat vague as it is. and again each style should have their own jutsu, kinda just how it works here. Removed the taijutsu all together. lol, copy your seven sword tech into one of your kin lists so its just a jutsu with varying ranks. or Since it has no other techs it doesnt really get its own style so it can be general to your whole clan thus not taking a style slot just leave it as its seperate non style type. Edited, I hope this is the last time.